23 May 2016 - Naam Gum Jaayegaa, Cheharaa Ye Badal Jaayegaa, Meri Aawaaz Hi Pehachaan Hai, Gar Yaad Rahe. 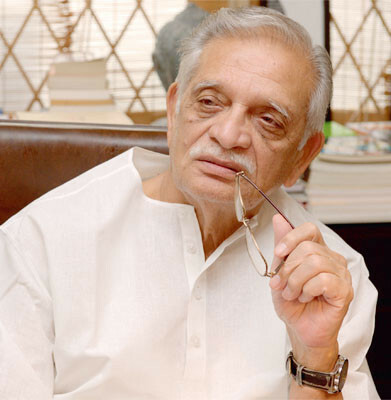 Warms up my heart to speak about Gulzar Saab from my book "Notable Personalities" with BolMarathi.in (Audio Portal) . To listen to my audio please visit the following link. चला तर मग, ऐकुया ह्या महान गीतकाराच्या आयुष्यातील काही किस्से लेखक निलेश राजे यांच्या सोबत. Thank you to the whole crew of BolMarathi.in for having me invited on their show . . .